May 9th, 2011 7:38 AM by Lehel S.
We are often asked whether it is better to rent or buy in the current housing market. The answer to that question is: "It all depends." There are certain situations where renting short term probably makes sense. It may make sense if you are retiring to a different region of the country and are not yet sure where you want to set down roots for the next 25 years. It may make sense if you have a one-year employment contract that will probably require a move to another place upon termination. However, in most other cases, renting right now makes little sense for several reasons. Even though prices may still soften, waiting to buy wouldn't make sense as the cost of owning a home may still increase. Mortgages may soon become much more expensive than they are right now. Owning a home is less expensive than renting a home in 72% of major U.S. cities. Rental costs are about to explode. Let's take a closer look at the last reason. We have often said that the cost of anything is based on supply and demand. The number of widgets for sale and the number of widget buyers together create the price for widgets. That will also apply to rents. There is a much larger demand for rentals right now. The economy has forced many to leave their foreclosed homes and other buyers are afraid to plunge into homeownership. 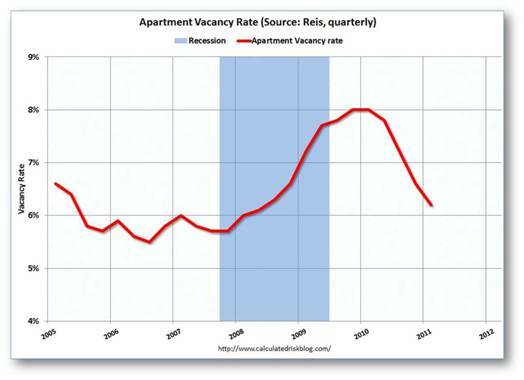 Apartment vacancy has dropped significantly since the recession, which ultimately drives up rental rates. When supply is rapidly decreasing and demand is quickly increasing, prices have only one place to go – and that is UP! That is exactly where rental prices are headed. Is now a good time to rent? We think not. You can buy a home today at a discounted price and get a 30-year mortgage at a historically low interest rate. You can set your housing expense for the next thirty years. On the other hand, rental costs are poised to increase for years to come. If you have any questions about your personal situation, contact the professional who supplied you with this month’s issue of YOU Magazine. Reprinted with permission. All Contents ©2011. Steve Harney. KCMBlog.com.